One of the cutest birds! Last summer I saw my first Puffin. 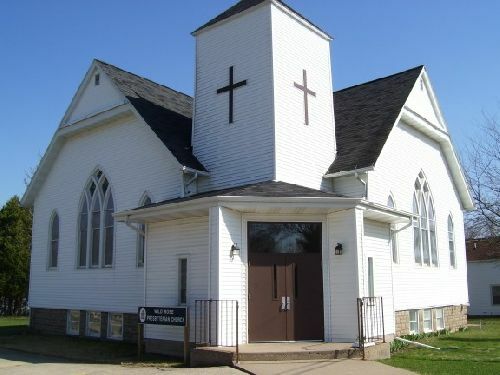 It was on a tour out of Cape Breton, Nova Scotia, Canada. I fell in love with Puffins. They sport a clean cut look, dressed up like penguins for Halloween. Atlantic Puffins lead very interesting lives. Besides being so darn cute, they are fishermen and swimmers. They live on the ocean except when they come to terra firma and it is time to breed. After they find their partner, they lay one egg and take turns keeping it warm. 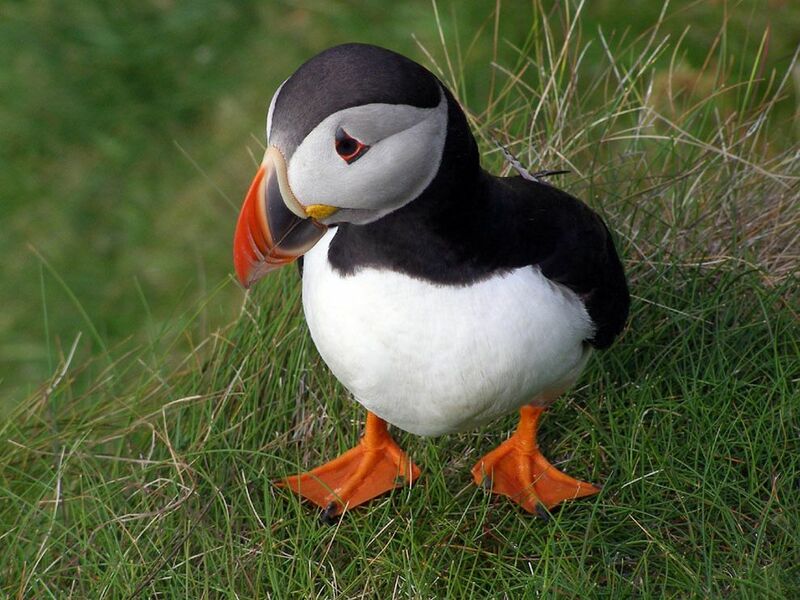 Interestingly, the Atlantic Puffin is the only species of Puffins found on the Atlantic coast. All other species are found in the Pacific. Click here to watch a Puffin come out of his shell. Click here to view Puffins at Elliston, Newfoundland. Donna Schlachter writes historical suspense from Denver, while her alter ego, Leeann Betts, pens contemporary suspense. 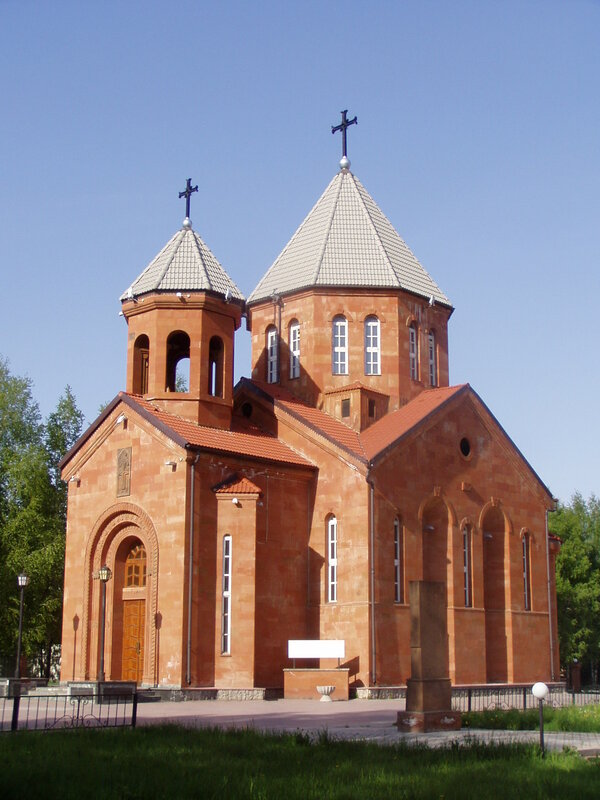 When not writing or praying, you will find them traveling for research for the next book, and the next book. Follow them at www.HiStoryThruTheAges.wordpress.com or www.AllBettsAreOff.wordpress.com . Check out their books at Amazon, NOOK, and Smashwords. Just when you think things can’t get any busier, they do – you have a deadline to produce a certain number of words by a certain date. Maybe you’re under contract for a book. Maybe it’s a magazine article, a devotional, or even a simple blog like this one. And yet that date looms like a guillotine over you head. You sit at the computer and will the words to come. But they won’t. Wait a minute. What about the deadline. Back to the computer. Sit in the chair. Stare at the screen. Now is the time to do what you should have done the first time you sat down. This is my favorite version: Lord, give me ears to hear the words You dictate. Let me transcribe this story/blog/article/devotional/poem for You. And thank You for letting me be the first person to hear these words. May Your words change me first, and then change others. Amen. Not only is this prayer on target, it also reminds me who is the Boss. This prayer humbles me to my rightful position. And being a transcriber is Biblical. Even the Apostle Paul says he had scribes who wrote for him. That’s our job. That’s our goal. Write the only story worth telling, from the One who is the Creator of story. And by the way, once I have my priorities right, it’s not a deadline; it’s a lifeline. Follow Donna and Leeann at www.HiStoryThruTheAges.wordpress.com or www.AllBettsAreOff.wordpress.com . Check out their books at Amazon, NOOK, and Smashwords. WRITING AS LEEANN BETTS: Counting the Days: a 31-day devotional for accountants, bookkeepers, and financial folk and No Accounting for Murder, Book 1 of By the Numbers series, recently released as an eBook at Amazon.com, BarnesandNoble.com, and Smashwords.com. “And God raised us up with Christ and seated us with Him in the heavenly realms in Christ Jesus, in order that in the coming ages He might show the incomparable riches of His grace, expressed in His kindness to us in Christ Jesus” (Ephesians 2:6-7 NIV). How can I be in Heaven and on Earth at the same time? First of all, understand that this can only happen after you are saved. You must have that person relationship with Jesus before He’s taking you to Heaven to be seated with Him. When you accepted Christ, you became completely and eternally united with Christ. Jesus Christ is our Intercessor and He is in constant communication with the Father. When the Father looks at you, He sees Jesus Christ. Remember when you were baptized? You were ceremoniously buried in the water and then resurrected. Beyond that, you ascended with Christ and were seated in the heavenly realms. You and I are now a part of Christ. He is in us and we are in Him. Jesus is seated at the right hand of God. Lift up His name and praise Him! He found a way to save us, and not only that, by His Spirit we are seated at the right hand of God. If Jesus is sitting at the right hand of God, we are right there with Him. And guess what? We don’t have to be nervous or afraid to be there because all of the things that would make us feel unworthy have been conquered by Jesus Christ on the cross. No, we shouldn’t feel like we have the right to be there. We should feel gratitude for a loving God and a Savior, Jesus Christ. And this is truly a miracle—we can sit at the right hand of God and gaze at Him with awe and reverence. This is day twenty-three of a forty day devotional, The Miracle of You. Click here to order. My latest release. 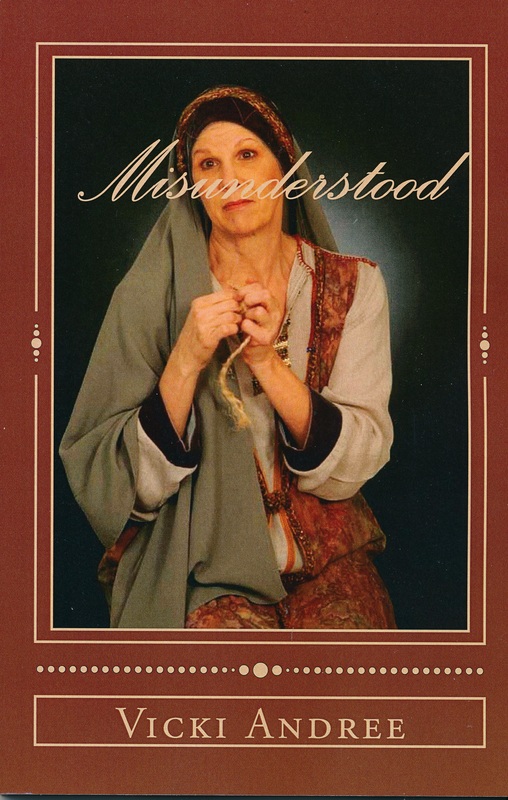 Are women of the Bible misunderstood? My intention in writing this book is not to rewrite the Scriptures, but to encourage readers to reconsider the notes and commentaries written years ago by learned men. Commentaries have made an enormous contribution to those of us who want to better understand the Scriptures. In most cases I agree completely with their remarks. However, in the case of judgments against women, opinions written by men from ages past leave me wondering if they really understood. Women have been misunderstood since time began. In ages past, women became possessions of their fathers when they were born into this world and were passed to another man when they were married, if that husband died, they were often passed to a brother, just as one would pass a pet from one family to another. If these same commentaries had been written by women, they would most certainly tell a different story. Dedicated to Coal Miners, Past, Present and Future! 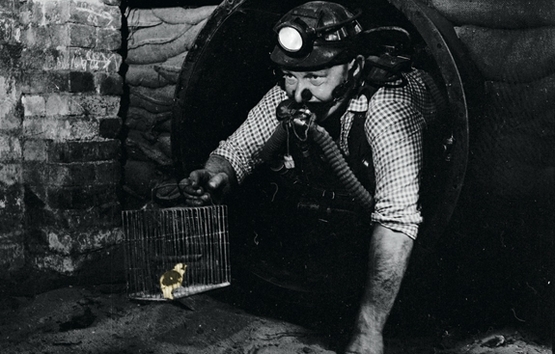 Around the world, every day, men routinely went deep into coal mines. 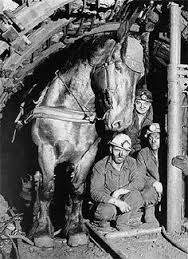 Fifty years ago when most coal mining was done manually, underground mines accounted for ninety-six percent of the coal produced each year. Thankfully, the methods for mining coal have undergone dramatic changes in the past twenty-five years, due to technological advances. The little town I live in, Erie, Colorado, used to be a mining town. The Briggs Mine was the first commercial coal mine in Weld County and the foundation for the city of Erie, Colorado, in 1871. It was that same year the Union Pacific Railroad constructed a spur off of the main line from Brighton and Denver and Cheyenne. The spur was named the Boulder County Railroad and it delivered coal from Erie mines to rail markets in Denver and Kansas City. Many small towns got their start from the coal industry. Before I lived in Erie, I lived in nearby Louisville. The entire area is a web of underground tunnels that was used to mine precious coal. The only evidence of mining left in Louisville is the downtown museum and the coal car exhibited on a street corner. Changing our focus to northwest Canada, where the town of Springhill, Nova Scotia discovered massive quantities of coal in the 1830’s. Springhill quickly became one of the largest producers of coal in Canada. This town suffered tragedies in 1891, 1956 and 1958. They lost 75 men in the last underground earthquake. For an interesting tour of a coal mine and some education on the tragic history of mining in Canada, visit the Springhill Miners Museum. Click here for more about the mine disasters in Springhill, Nova Scotia. Click here for information on mine tours in Springhill, Nova Scotia. Click here for my website. “Paul, an apostle of Jesus Christ by the will of God, To the saints in Ephesus, the faithful in Christ Jesus: Grace and peace to you from God our Father and the Lord Jesus Christ” (Ephesians 1:1-2 NIV). The apostle Paul refers to his fellow believers as saints. We think of saints as ones who have attained perfection. Most of us have been taught that a saint is someone who is dead, whose life conformed to Church teaching and who performed miracles before or after dying. You might think that you don’t qualify to be a saint, or perhaps you do. I certainly know I wouldn’t qualify. Paul had a different definition of saint. The Bible actually teaches that the word ‘saint’ means one who is sanctified, or set apart for God. It is not a statement of a spiritual status that only a few Christians could ever attain. A saint is anyone who has a living relationship with God through His mercy and grace expressed in the death of the Lord Jesus Christ. Because of this definition, every Christian is a saint. A saint can be a spiritual giant or a believer who struggles with their faith. A doctor, lawyer, housewife, mental patient, gongfermor, or anyone in any country who has a personal relationship with Jesus Christ. And that is a miracle! And as Paul reminds us, being a saint grants us grace and peace. This is day twenty-one of a forty day devotional called The Miracle of You. Click here for more information.